Asa Butterfield’s character doesn’t say much in this new trailer for X+Y, but he still manages to get you to root for him. Butterfield leads Morgan Matthews’ fiction feature directorial debut as Nathan, a math prodigy who’s diagnosed as being on the autism spectrum. It isn’t until Nathan scores a spot on Great Britain’s team at the International Mathematics Olympiad where his abilities are celebrated that he comes to realize that he isn’t as weird as he once thought. This one didn’t get all that much attention at the Toronto International Film Festival, but anything I did read about it noted the film’s feel-good, rousing nature and those qualities are certainly present in this promo. 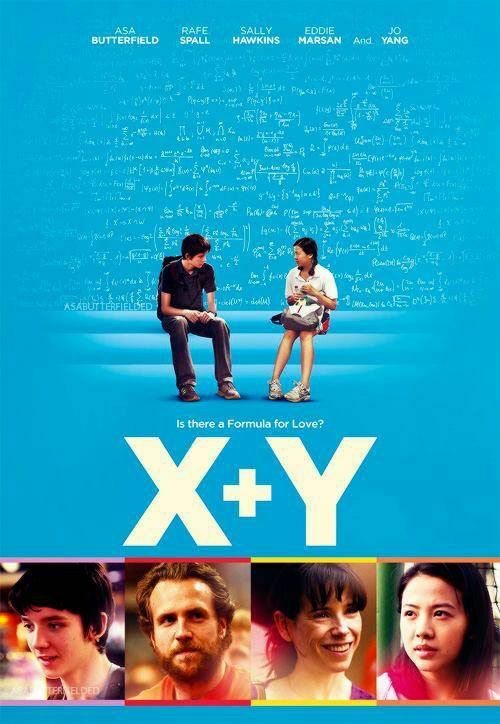 Hit the jump to check out the new X+Y trailer. Unfortunately the film doesn’t have a US release date just yet, but folks in the UK can catch it on March 13, 2015. X+Y also stars Rafe Spall, Sally Hawkins, Eddie Marsan and Jo Yang. Soon Nathan finds himself selected for the UK Mathematics Squad and, against the odds, representing his country in Taipei. Over there, the academically gifted aren’t bullied but celebrated, envied and even invited to parties. Nathan’s rational brain can cope with the most complex of maths problems just fine, the real test comes when he meets his female exchange partner, Zhang Mei, and has to cope with falling in love; the most irrational thing of all.